GreenSight is proud to announce its partnership with Wesco Turf. Wesco will be the exclusive regional distributor of GreenSight’s TurfCloud management platform and TurfSight drone intelligence platform to golf courses in their territory which includes most of Florida and southern counties in Georgia. Wesco has won over 100 awards from its vendors including ‘Distributor of Excellence’ from Toro four times! Wesco is a key distributor of Toro, Club Car utility vehicles, Bernhard reel and bedknife grinders, Salsco turf rollers, Flowtronex and MCI pump stations, American Flow Control, Clow gate valves, Harco ductile iron and PVC fittings, Lasco swing joints and slip fittings, Nibco valves, Carson valve boxes, Baldwin filters, and a few other commercial product lines including GreenSight aerial intelligence. GreenSight is the leader in autonomous aerial intelligence. The company was founded in 2015 to utilize artificial intelligence and robotics to revolutionize the industry. The company’s FreeHand intelligence platform and custom designed drones have been utilized in numerous business intelligence applications in the USA, Canada, and Europe. GreenSight provides aerial intelligence as a service using custom automated drones coupled with remote piloting services and advanced image processing and machine learning. 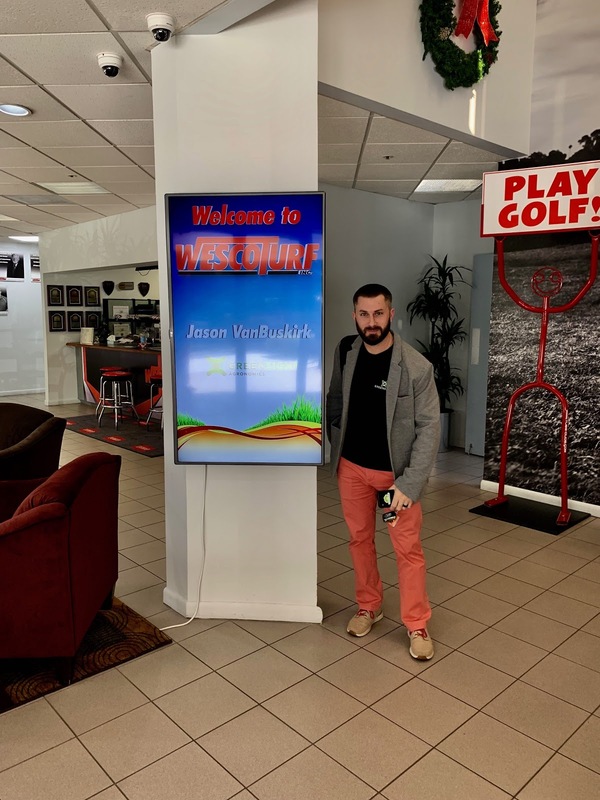 GreenSight's Jason VanBuskirk got a digital welcome at Wesco! “GreenSight is excited to be able to offer our industry-leading products through a distributor as forward thinking as Wesco. We look forward to helping their customers manage more efficiently and improve their facilities down in the southeast.” said Jason VanBuskirk, GreenSight VP of Sales and Marketing. GreenSight's TurfCloud platform features dashboards and data visualization tools to facilitate optimal decision-making by revealing precisely where and when actions are needed. TurfSight is GreenSight’s drone-based aerial intelligence platform for turf management, which works hand in hand with the TurfCloud platform. Turf managers can save time, labor and resources by assigning tasks according to the insights provided through the platform. “View your course conditions with a drone in 1 hour compared to days in a cart,” remarks Tina Neuzil, Territory Manager for Wesco Turf, Inc. If you are a Superintendent located in the Wesco Turf territory, please contact your local representative for deeper discussion and next steps to start using GreenSight’s TurfCloud and TurfSight products on your property. Here at GreenSight, we don’t announce concepts, we announce real products. This week we’re proud to announce our Dreamer drone with the longest flight time in its class. It has been in development now for over a year, and flying at customer sites all over the US and Canada now for over 6 months. A beautiful blend of endurance, stability, reliability and safety. We’ve already logged over 700 flights and 350 hours in the air. The aircraft can stay in the air for over 60 minutes while carrying GreenSight’s custom multi-spectral camera package (visual, IR,thermal), and up to 75 minutes empty or with lighter payloads. We can gather high resolution imagery of over 300 acres per flight. As part of our flight control avionics, we developed a custom on board battery health management system that allowed us to use among the highest energy density batteries available while also ensuring safe and reliable flights. The system also features an on board charger which makes automated docking and recharging possible. We offer an optional RTK GPS receiver, enabling the vehicle to know its global position at 1 cm accuracy. This means Dreamer can land precisely and repeatably in our Canopy docking station for automated recharging, and generate survey accurate maps. Dreamer is made in the USA and in full production! 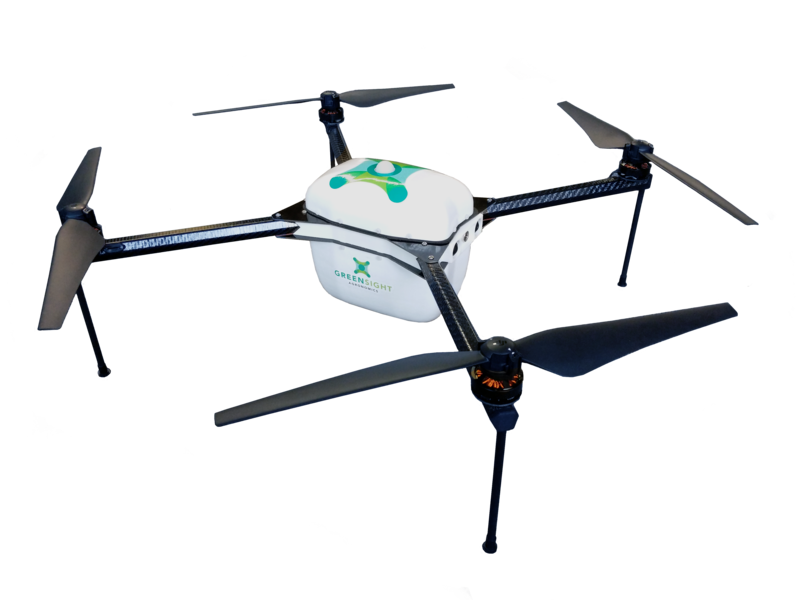 GreenSight primarily sells Dreamer as a part of its industry leading FreeHand aerial intelligence platform, but for custom applications we also sell drone hardware and can customize the aircraft for your needs. Beyond Dreamer we also engineer custom unmanned aircraft systems and complete vehicles. Over the last four years GreenSight has manufactured over 150 aircraft and custom engineered over a dozen different unmanned aircraft designs from 100 grams to 100 kg. If your organization needs aerial intelligence or custom unmanned systems solutions, get in touch!